Bankruptcy is a complicated process involving Title 11 of the United States Code. When you file chapter 7 or chapter 13 bankruptcy you are relinquishing control of your property to the bankruptcy estate, and whether you will get to keep certain property will depend upon the correct application of California exemption law. In essence, bankruptcy is not as easy as checking a box. With that in mind, you should know these 3 essential FAQs before you file bankruptcy in Sacramento. If you live in Sacramento you will file your bankruptcy petition in the Sacramento Division of the Eastern District of California. This court is widely called the “Sacramento bankruptcy court,” but in truth this is not its proper name. Nevertheless, if you live in Sacramento your bankruptcy attorney will electronically file your bankruptcy petition, statements, and schedules with this court since venue will be proper in this district. At base, venue refers to where you must file your bankruptcy petition, and the rule is that you must file in the district where you have resided for the greater portion of the past 180 days. With that said, venue can be proper in other areas. 1. What chapter should I file under? 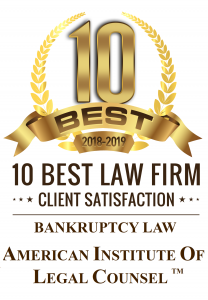 A bankruptcy attorney can only answer this question once you’ve had a free consultation; fortunately, many bankruptcy attorneys such as the one on http://sacramentolawgroup.com/roseville-bankruptcy-attorney/ provide free consultations to residents or Roseville and the greater Sacramento area. In essence, whether you file chapter 7 or chapter 13 bankruptcy will depend upon your income, assets, and debts. If you have very little property and income but a lot of unsecured debt then chapter 7 will probably be your best option. That’s due to the fact that in order to qualify for chapter 7 bankruptcy your income must either be below the median income for a household of your size in the same state or you must pass the means test. Likewise, if you have very little property California exemption law may be able to protect your property from liquidation in chapter 7 bankruptcy, and if you have a lot of unsecured debt chapter 7 bankruptcy will probably be able to eliminate it in a few months. 2. What happens to my car in chapter 7 bankruptcy? Liens are not eliminated in chapter 7 bankruptcy. That means that if your car is financed and you are behind on payments the lender will eventually be able to repossess the car, but not hold you liable any deficiency after bankruptcy. In essence, you will discharge your personal liability for the debt, but the car will still be encumbered by the lien. Therefore, the creditor will eventually be able to go after the car if you are in default, but not you personally for the debt after bankruptcy. With that said, if you are not in default most lenders will continue to accept payments after bankruptcy. Alternatively, you can always redeem the car or reaffirm the debt. 3. How much does bankruptcy cost? This is a very good question to ask before you sign a representation agreement. The cost of your bankruptcy will include the attorney’s fee, filing fee, credit reports, and other miscellaneous costs. If representation in an adversarial proceeding is required the attorney will probably charge you by the hour. Also, if you file chapter 7 bankruptcy you can plan on paying the $306 chapter 7 filing fee. If you need to find out how much your bankruptcy will cost ask the attorney during the free consultation.